Henry III appointed Simon de Montfort as one of his main polical advisers. Henry also valued Montfort's abilities as a military commander, and in 1248 sent him to take control of Gascony, one of the last areas in France that was still part of the English empire. Montfort soon became aware that the king was a poor leader. Montfort developed the opinion that the situation would only improve if the barons played a more active role in running the country. 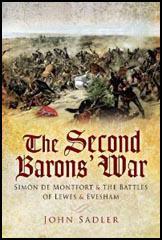 Other leading barons shared Montfort's views and in 1258 they decided to take action. In May the barons went to see the king. 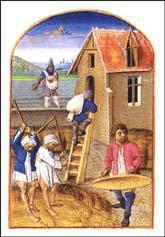 They demanded that in future the king should not make decisions without consulting his barons. Fearing a civil war that he would lose, Henry accepted their demands for reform (the Provisions of Oxford). Montfort had recently broken his leg falling from a horse and had to direct operations while sitting in a cart. However, it did not stop him winning a famous victory. At the end of the battle the king had been captured and those members of his army that had survived had fled from the battlefield. 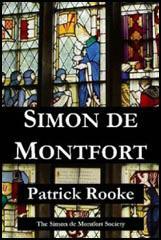 May the Lord bless Simon de Montfort and also his sons and his army who, exposing themselves to death, fought bravely for the English people... Simon de Montfort had few men used to arms; the royal party was large, having assembled the greatest warriors in England... but God provided... since God is a help for those who are on the side of justice. Thus it was right that God should help the Earl, for without God he could not overcome the enemy. Simon de Montfort... desired to put down the mighty and ruin their power... so that he might more freely and easily subdue the people, after having destroyed the strength of the magnates. The Earl fought a similar cause, and died without flinching. Earl Simon, who gave up not only his property, but also his person, to defend the poor from oppression, and for the maintenance of justice. Report goes, that Simon, after his death, was distinguished by the working of many miracles, which, however, were not made publicly known, for fear of kings.